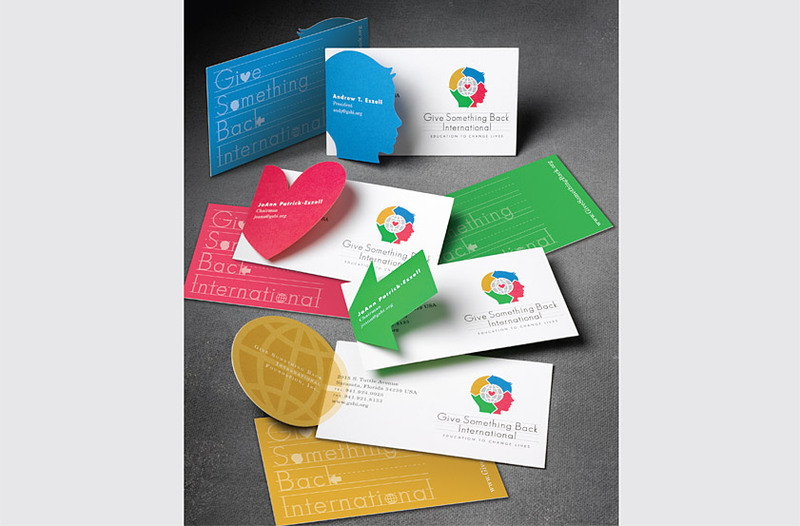 Give Something Back International is a non-profit foundation dedicated to providing life-changing educational opportunities for children in need worldwide. 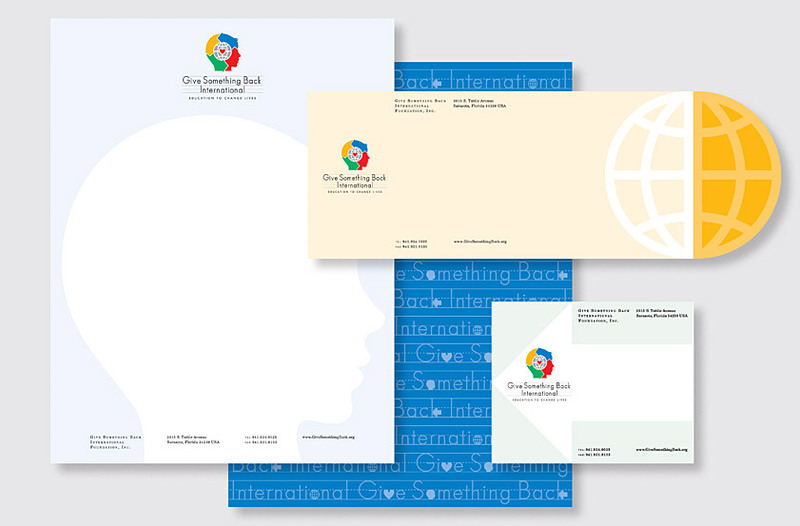 Our solution highlights a different symbol on each stationery element: the profile on the letterhead depicts a perceptive young mind, the globe on the envelope evokes international correspondence, the arrow on the mailing label suggests giving back, and the heart on the notecard expresses donor appreciation. 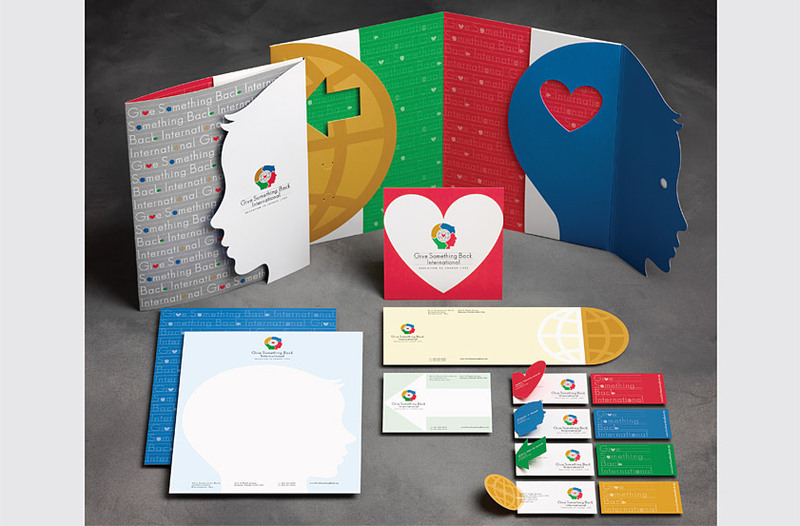 On the business cards, the foundation’s symbols are used as die-cut flaps, enabling each staff member to use a different icon to highlight their personal contact information. Corporate information is revealed upon lifting the flap.